This free high resolution photograph features a rusted metal surface with textured bumps. 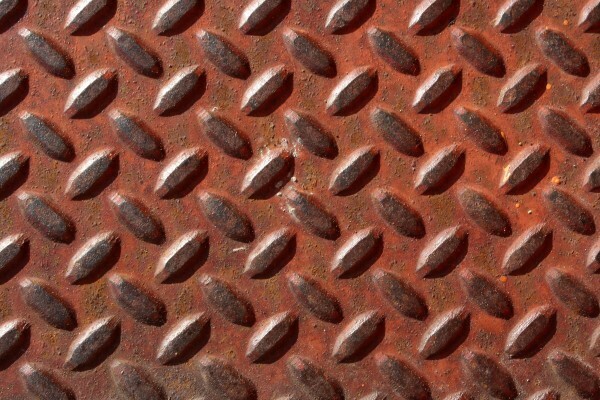 This sort of metal texture is usually used as a grate cover in construction. The picture would make a great web background or desktop wallpaper. Photo is free for any use.